By: David B. Vornehm, Esq., and Sean T. Devenney, Esq. When it comes to determining who is responsible for jobsite safety, CONTRACTS ARE IMPORTANT. That is the “take-home lesson” from the recent Indiana Supreme Court decision in Michael Ryan v. TCI Architects/Engineers/Contractors, Inc. et. al., and should come as no surprise to construction industry participants. This decision relates to a general contractor’s potential liability to employees of a subcontractor on a construction project for their jobsite injuries. The Court found that the design-builder assumed a duty of safety to all workers on the site, including those of its subcontractor. The fact that it included language in its subcontract purporting to shift that responsibility to the subcontractor for safety of the subcontractor’s employees did not eliminate the design-builders own responsibility that it undertook pursuant to its prime contract – DBIA Form 530. It is important to note that the decision of the Court was primarily based upon its interpretation of the language contained in the Design-Build Institute of America (“DBIA”) 1998 Standard Form of Agreement Between Owner & Design-Builder (From No. 530). The result of the court’s analysis was that the 1998 DBIA Form No. 530 created responsibility and liability for the design-builder/general contractor with respect to injuries of subcontractor employees on the Project site. The facts of the case are that Ryan, an employee of sheet metal subcontractor B.A. Romines Sheet Metal (“Romines”), was injured when he fell approximately 8 to 10 feet while working on a construction site for the construction of a Gander Mountain store. Romines had a contract with BMH Enterprises, Inc. d/b/a Craft Mechanical (“Craft”). Craft, in turn, had a contract with the design-builder/general contractor TCI Architects (“TCI”). Ryan contended, in part, that the ladder he was provided by his foreman was too short. Ryan was prohibited from suing his own employer due to the Indiana’s Workers Compensation Act, which makes an employee’s exclusive remedy against his employer a claim for Workers Compensation. An employee is not prohibited, however, from making a claim against other contractors on the construction site for his injuries. To succeed in doing so, however, the Court must determine whether other contractors on the site had “assumed a duty of safety” to the injured employee. In this case, the TCI subcontract with Craft placed the duty of jobsite safety on Craft. At the trial court level, Ryan filed motion for summary judgment asking the court to find that, through its contract with the project owner, TCI had assumed a duty of safety to Ryan. TCI cross-moved for summary judgment requesting a finding that TCI had not assumed a duty of safety to Ryan on the Project, and that motion was granted by the trial court. This was affirmed by the Indiana Court of Appeal but reversed by the Indiana Supreme Court, which TCI had assumed a duty of safety to the subcontractor’s employee. In reaching that result, the Supreme Court applied an exception to the general rule that a general contractor owes no duty to employees of subcontractors on a construction project. The Court noted there are five exceptions to the general rule: (1) where the work required is intrinsically dangerous; (2) the act will create a nuisance; (3) the act to be performed will probably cause injury to others unless precaution is taken; (4) the act to be performed is illegal; and (5) a party to a contract on the project has assumed a duty of care/safety to project participants. It is this last exception that the Court analyzed in reaching its determination. The Court concluded that, taken together, all of this safety specific contract language meant that TCI had contractually agreed to assume a duty to keep the worksite in a reasonably safe condition. Importantly, TCI argued that its subcontract with Craft in which TCI explicitly required the subcontractor to meet the safety requirements of the Project, did not “override” the language in TCI’s contract with the Project Owner to somehow eliminate TCI’s liability to Ryan. Lesson Learned: Contractors wishing to avoid liability for jobsite safety on projects must look at both their upstream contracts and downstream contracts and make sure the language in each of those contracts does not create legal liability. Careful drafting is a must. Further, any design builder contemplating the use of the 1998 version of the Form 530 should consider modifying it in order minimize the design builder’s potential liability for injuries to employees of subcontractors working on the Project. About the authors: This article was written by David B. Vornehm and Sean T. Devenney, construction lawyers with Drewry Simmons Vornehm, LLP, with offices in Indianapolis, Carmel and Crown Point Indiana. They can be reached at dvornehm@dsvlaw.com and sdevenney@dsvlaw.com. This article is published in ConstructionRisk.com Report, Vol. 19, No. 6 (June 2017). This 2013 endorsement broadens, in certain circumstances, the person or organization that will automatically be granted the status of an additional insured. Its purpose is to include not only those persons or organizations the downstream party has directly contracted with as an additional insured but also any other person or organization the downstream party is required to add as an additional insured by the terms of any direct agreement with an upstream party. Thus, if a subcontractor were required in the general contractor/subcontractor agreement to add the project owner as an additional insured, CG 20 38 would include the project owner even though the subcontractor has no direct contractual relationship with the project owner. But a word of caution is in order as explained below. Construction projects typically require a "downstream" party to include as an additional insured an "upstream" party, even though the downstream party (for example, a subcontractor) has no contract with the upstream party (for example, the project owner). The subcontractor typically has a direct contract only with the general contractor—and it is in that general contractor/subcontractor agreement that the subcontractor agrees to include the project owner as an additional insured. Although the purpose of the 2013 endorsement is to include not only those persons or organizations the downstream party has directly contracted with as an additional insured, a word of caution is still warranted: even with this endorsement, the named insured must be performing operations for the additional insured. For example, if the subcontractor is required to add the lender as an additional insured, the CG 20 38 would likely not be adequate as the subcontractor is performing operations for the owner and general contractor but not performing operations for the lender. This article first appeared on www.IRMI.com in March 2013 and is reproduced here with permission. © 2013 International Risk Management Institute, Inc. (IRMI). All rights reserved. By J. Kent Holland, Jr., Esq. Contractor installed pine wood decking renovating the front porch of a historical building. The project owner, who was also an architect, insisted on the use of pine despite the contractor’s “repeated recommendations to use a different material” such as vinyl flooring because pine was not a suitable choice for decking the northeast. The owner’s insistence on pine constituted a design specification. The court concluded, “Although the contract did not expressly state whether the parties entered into a performance or design specification contract, it is abundantly clear that the parties were working pursuant to a design specification agreement.” Since a design specification contract requires a contractor to use the materials selected by the owner, the contractor does not bear any responsibility if the design proves to be inadequate to achieve the intended result. CGM Construction, Inc. v. Sydor, 144 A.D.3d 1434, 42 N.Y.S.3d 407 (2016). This decision applied the Spearin Doctrine. The court found that the contractor’s work was completed according to the owner’s instructions and the owner was, therefore, responsible for any defects that resulted from his design and could not escape payment of the balance owed the contractor for the completed work. Comment: Regardless of whether a contract would be deemed a performance or design specification contract, if the project owner insists on adherence to design details such as the choice of materials, the owner assumes the risk of that design or material failing to meet its performance needs. Design directives from the owner during contract performance are just as impactful as design or prescriptive specifications in the contract itself, when it comes to creating rights and obligations under the Spearin Doctrine. About the author: Article written by J. Kent Holland, Jr., a construction lawyer located in Tysons Corner, Virginia, with a national practice (formerly with Wickwire Gavin, P.C. and now with Construction Risk Counsel, PLLC) representing design professionals, contractors and project owners. He is founder and president of a consulting firm, ConstructionRisk, LLC, providing consulting services to owners, design professionals, contractors and attorneys on construction projects. He is publisher of ConstructionRisk.com Report and may be reached at Kent@ConstructionRisk.com or by calling 703-623-1932. This article is published in ConstructionRisk.com Report, Vol. 19, No. 6 (June 2017). The Maryland Court of Appeals applied the economic loss doctrine to bar a claim against an engineer by a general contractor seeking to recover economic losses based upon reliance on allegedly defective designs. 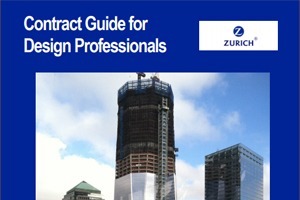 In the absence of contractual privity, physical injury, or risk of physical injury, the court held that design professionals in government construction projects do not owe a tort duty to those who bid and contract with the government. Balfour Beatty Infrastructure, Inc. v. Rummel Klepper & Kahl, LLP, 451 Md. 600 (2017). Pursuant to its contract with the City of Baltimore, the engineer designed upgrades for a wastewater treatment plant. A construction contract was then awarded to the low bidder to construct denitrification cells, pipes and supporting systems. During construction, the contractor states that it encountered leaks and other problems, which caused delays and cost overruns. The contractor filed suit against the engineer seeking to recover its financial losses. There is no indication in the courts decision whether the contractor also filed suit against its client the city. According to the contractor, leaks at the expansion joints of the cells were the result of deficiencies in the engineer’s design. The contractor also alleged that that the engineer failed to complete the design in a timely manner and failed to warn about delayed completion of a companion project’s design, and this hindered and delayed the construction. The theories of the complaint against the engineer included (1) negligence, (2) negligent misrepresentation, and (3) Restatement of Torts, sec. 552 extra-contractual duty. In a motion to dismiss, the engineer argued that without privity of contract with the contractor, there was no legally cognizable tort duty running for the engineer to the contractor. The trial court granted the motion to dismiss, which was affirmed by the intermediate court of appeals and ultimately the Court of Appeals. The court began its analysis by explaining that the “The economic loss doctrine represents a judicial refusal to extend tort liability to negligence that causes purely economic harm in the absence of privity, physical injury, or risk of physical injury.” The rule applied by Maryland courts has been that the recovery of economic losses for the repair or remedy of defective conditions was permitted, provided it was necessary to prevent physical injury. In this case, there was no physical injury element to the complaint. A negligent misrepresentation claim is “one variety of a negligence action.” Consequently, the basic rationale for the economic loss doctrine applies to negligent misrepresentation claims in a manner similar to all negligence actions. The contractor here attempted to argue that to find the design professional liable, the court merely needed to find that the designer knew the class of potential plaintiffs that would rely on the plans and specifications, and did not need to know the specific potential plaintiff (contractor). Because the court found that this instant case “involves an underlying web of contracts that allocates risk and liability,” the contractor had the ability to protect itself through contract language. A secondary misrepresentation count that was based on the Restatement (Second) of Torts, section 552 was rejected by the court outright because that count would require a finding a “privity equivalent” that the court had already determined (as described above) does not apply to large-scale government construction projects. Comment: It is surprising that the decision makes no mention of any claim against the city. The typical way for a contractor to recover in a situation such as that at issue here is to make a change order request to the city, and if it is rejected, the contractor can then file suit against the city. Pursuant to the Spearin Doctrine, when a city provides a contractor with plans and specifications, there is an implied warranty that the project can be successfully built using those plans and specs. That means the contractor does not have to prove negligence against the city or its engineer. No rationale is evident from the decision as to why the contractor would choose to sue the engineer instead of the city and therefore, have to prove negligence in the event that the court allowed it to overcome the economic loss doctrine. Perhaps contractual conditions prevented such a claim.